Last year I had one tiny calendar that lived on my desk, always seemed to be buried in a pile of paper and never in sight when I needed it. I don’t enjoy using the little calendar on the computer and I can’t get used to using my iPhone as a calendar or diary. I’m obviously showing my age here – but for many things I still prefer writing on paper and turning actual pages, to typing and scrolling through computer screens. 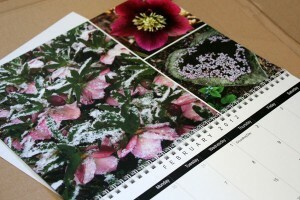 So it was quite fortuitous when garden blogging friend Clare of Curbstone Valley Farm in California launched her 2012 Calendar with wonderful images I’ve enjoyed seeing on her blog throughout the year. 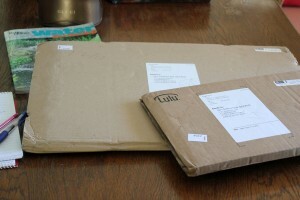 Easy, one-click ordering from Lulu.com and one great calendar was on its way to me. 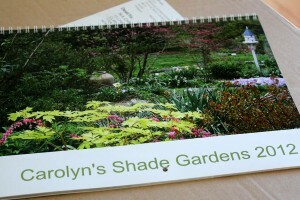 About a week or so later, Carolyn of Carolyn’s Shade Garden in Pennsylvania launched her 2012 Calendar. What to do, I’d just ordered one. But this one also looked nice … from no calendars in 2011 to two calendars for 2012 – with a few mouse clicks the second calendar was on its way to South Africa. 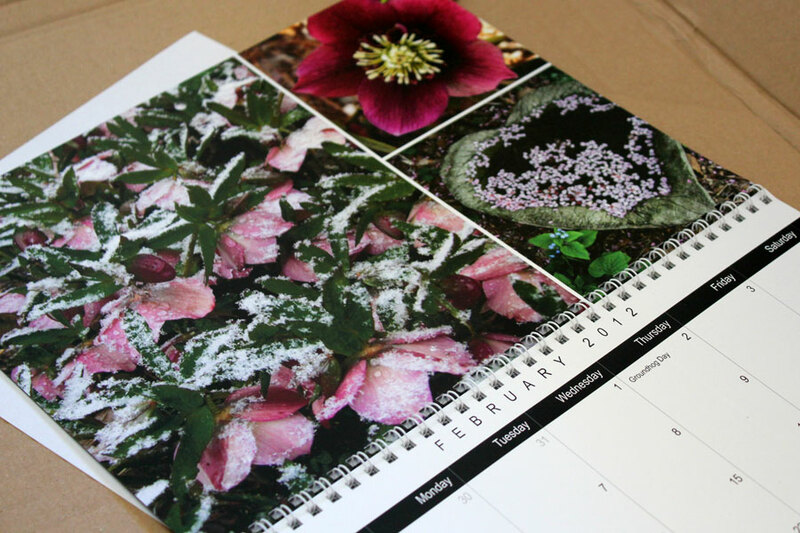 Both Calendars have now arrived in time for the new year to start and I’ve had lots of fun going through them and remembering seeing their lovely photographs on their blogs throughout the year. 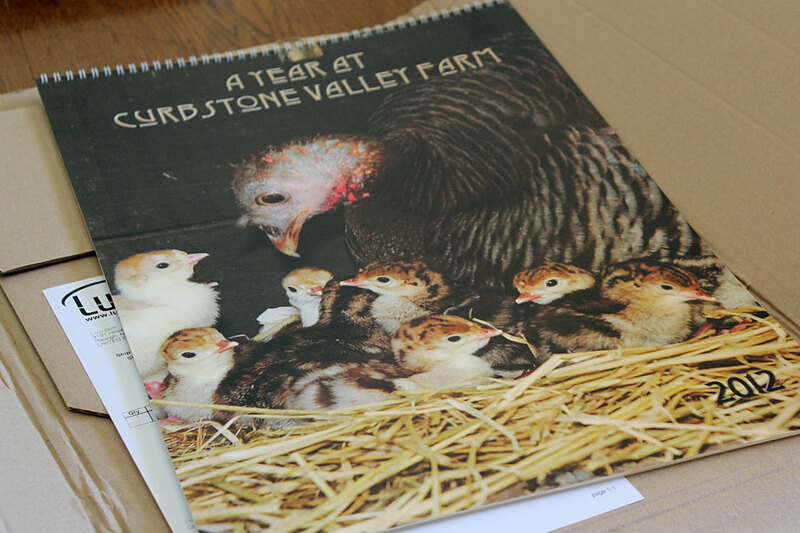 The Curbstone Valley Farm calendar is in our kitchen being used for noting holidays, special events, birthdays … all the things families need to remember and Carolyn’s Shade Gardens calendar is in my office – no more rummaging through piles of paper every time I need a calendar. 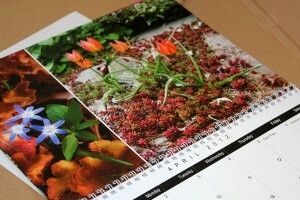 I thought I’d share some of the photographs of the two calendars highlighting my favourite pages. Criticisms? 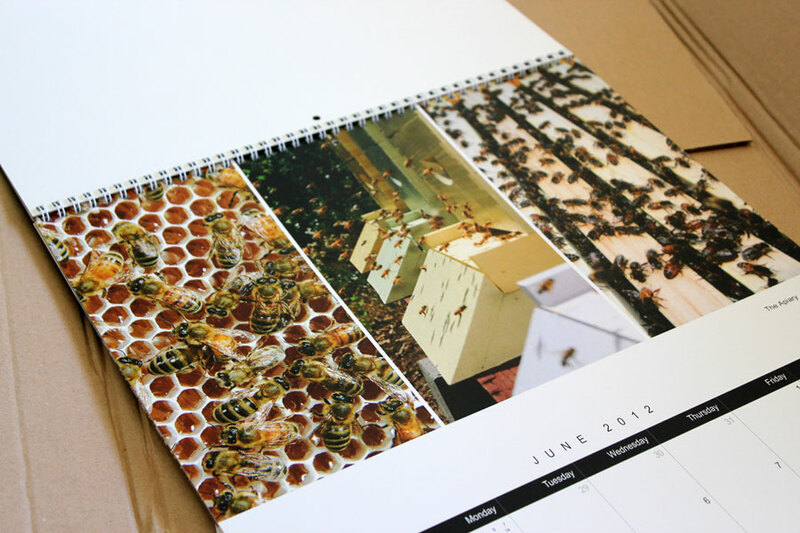 Ladies, neither calendar has your website addresses on them or even any contact details! Just a thought – I’d think your customers in particular would expect to see these details somewhere! I would definitely use the calendars as a branding exercise and share these details on every page with your logos! (Just my opinion). 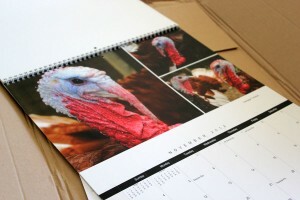 If you don’t yet have a calendar for 2012, click on the links above and order! Delivery was fast, the calendars were well packaged and arrived in perfect condition. I’m thrilled to have them! I wish you all a Happy New Year and a Stunning Garden in 2012! Christine, I missed this when you posted it over the holiday break. Thank you so much for highlighting us, and I’m honored the calendar has pride of place in your kitchen, as does our own copy, where I can peruse the schedule over coffee. These are such great ideas and perfect marketing tools – as Christine suggests! Well done both of you! 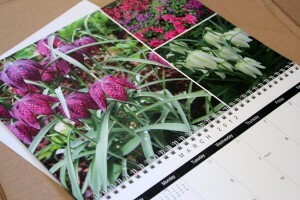 I agree with you Christine, to make the calendar useful it would need the information you suggested. Not so much for friends as yourself, but as a marketing tool for a nursery or in the case of bee farming, a place to order honey if that is offered. I made a yearly calendar for my clients and those of the nursery to send out at Christmas and the sole reason for sending it, (besides a nice gesture) really was for the exposure in advertising and marketing of the design and wholesale nursery. I did it for years and it was surprising how many new customers were generated, especially at the nursery. I don’t produce it now because we have more work than we can handle, but it really is a great tool to establish a client base. 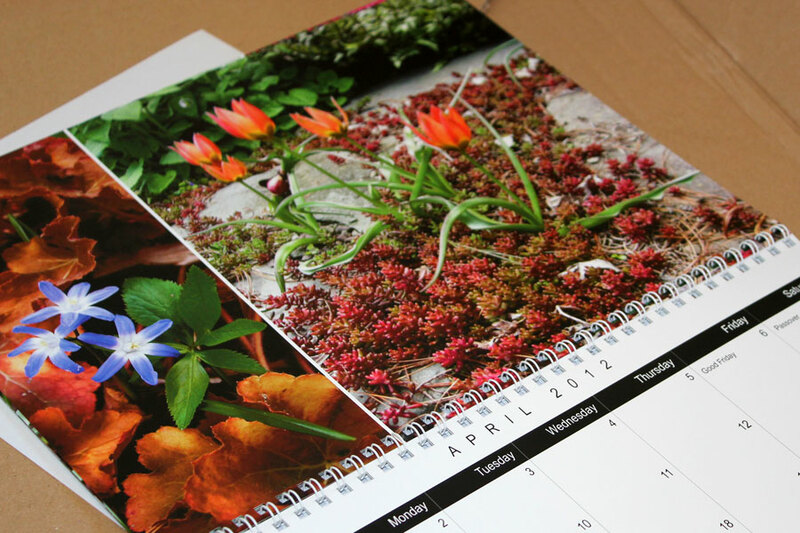 Both the calenders look very special with stunning photos, Christine. I always get a couple as presents and I use my computer one most of the time. But I will make a note to myself for next year to get them for other people as they would make beautiful presents. Look forward to reading your blog in 2012.